Teaching my 5yrs old how to take pictures. 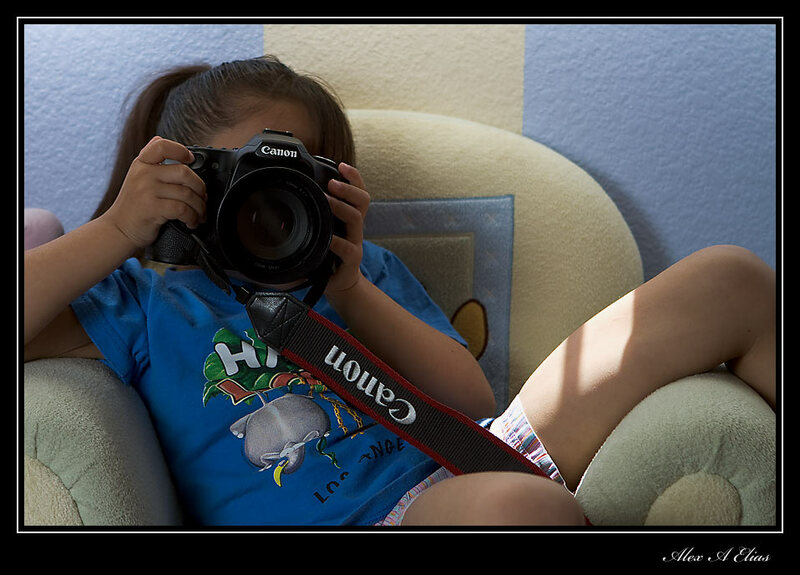 My daughter; like most kids emulates what they see, for the last while she it’s being wanting to use one of my cameras, not her mom’s point and shoot but mine. 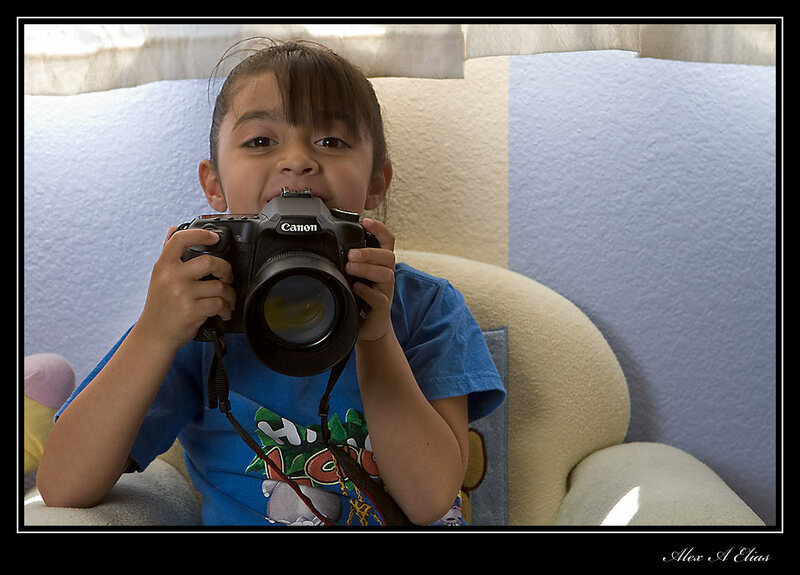 Seems like either she takes after me when it comes to cameras or the size, more buttons and a nicer display appeals more to her than a little point and shoot. 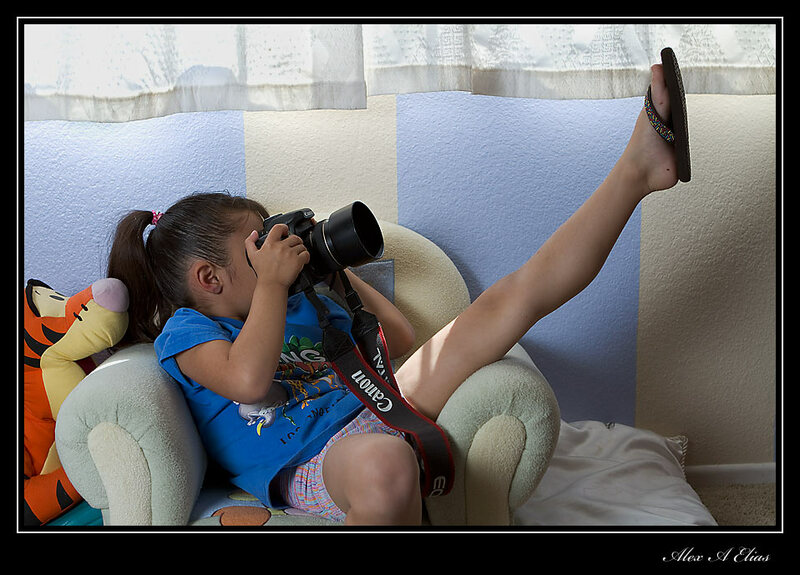 I figured while she was having fun taking pictures of her toys and her foot I would have my share of fun taking pictures of her; and I did. 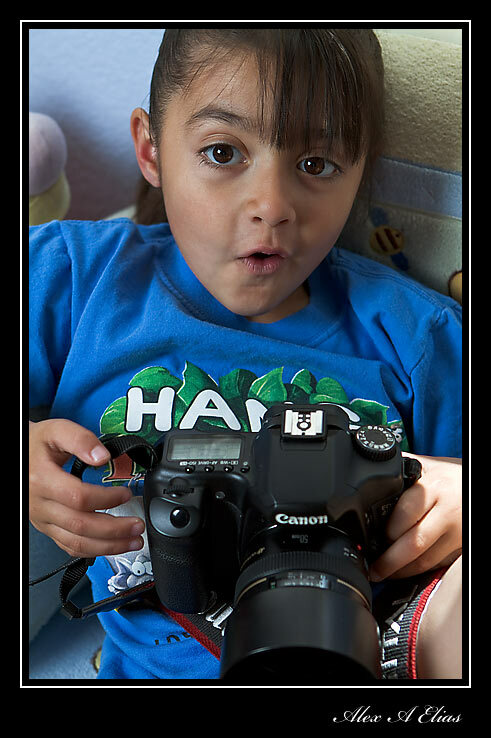 This entry was posted in Kids, Photo of the day and tagged alex elias, Family pictures, Kids pictures. Bookmark the permalink. ← Portrait and lighting effects.